I came across two interesting oddities in journaling in Exchange Online in the last few weeks that I noticed where not really mentioned anyway (or anywhere I could find that is). The first involces routing of journal reports and the second the selection of the journal target. The journal report, that is the message that is sent to the journal target mailbox when an email is sent or received from the mailbox(es) under the control of the Journal Rule. This journal report is a system message, that is Exchange Online marks it as such so that it is treated and considered differently within the Office 365 service. This though means that Conditional Routing does not apply to journal reports. Conditional routing is where you have a mail flow (or transport) rule, that routes the emails based on passing the conditions in the rule. Journal messages are never subject to rules, and this includes conditional routing as well. 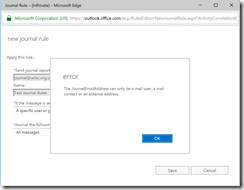 This means that journal rules leaving Exchange Online will always route via the default connector or a standard connector for the SMTP namespace of the journal report target. If Centralized Mail Flow is enabled in hybrid mode, the standard connector for the SMTP namespace is ignored, as all mail routes via the * connector apart from that that is already affected by mail flow rules. As journal reports cannot be routed via conditional routes due to not being processed by the mail flow rules, this means in a scenario where Centralized Mail Flow is enabled, journal reports will only follow the routing to *. In a multi-organization hybrid deployment, this means that your journal reports from the cloud may end up in the wrong on-premises organization and you will need to route them appropriately. The second issue I came across is more for a journal test scenario. It is against the terms of service in Exchange Online to store journal reports in a mailbox in Exchange Online, but its only in the last few days I have noticed that you now (and not sure for how long) you have been unable to enter a target mailbox that is in Exchange Online. Of course where the journal target address is external to your tenant (an external address), then this error makes no sense. 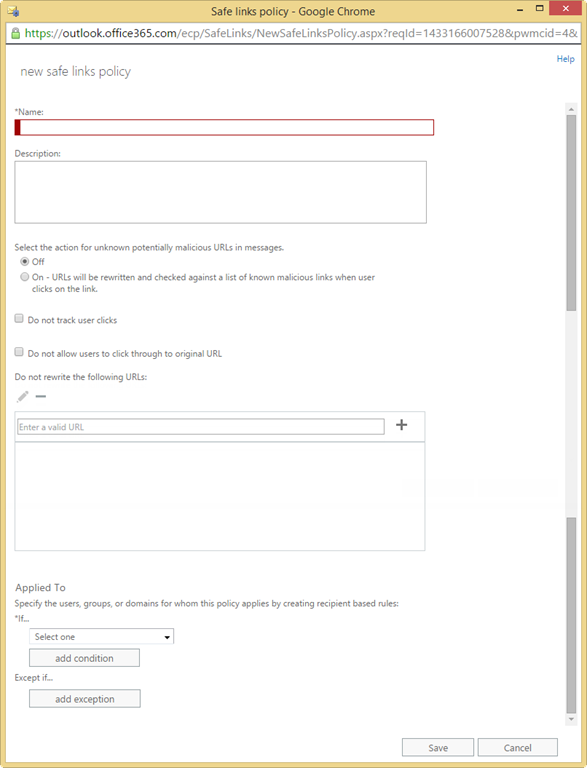 Also if you create a mail user or mail contact that points towards the target it will not be accepted whilst that mailbox exists elsewhere in Office 365. 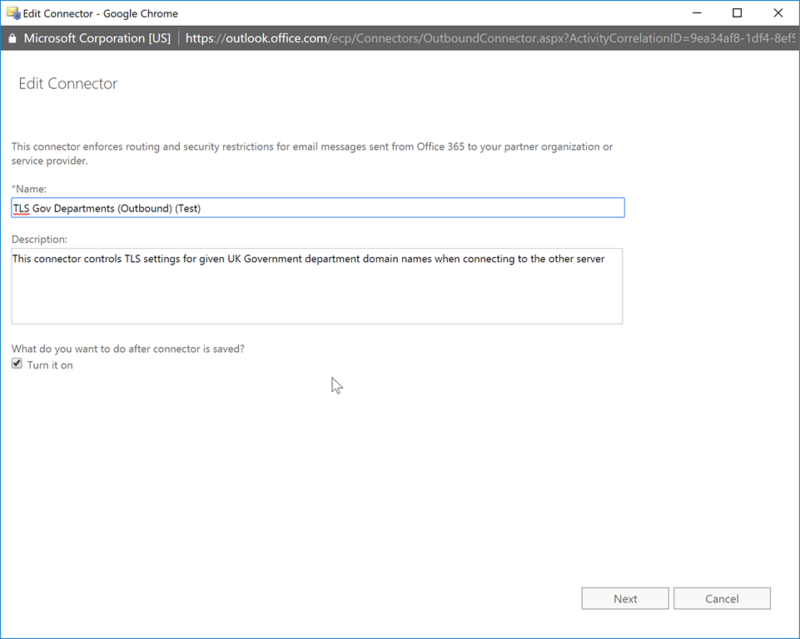 You can enter an address for a domain that is hosted in Office 365, as long as that mailbox is not hosted in Office 365. 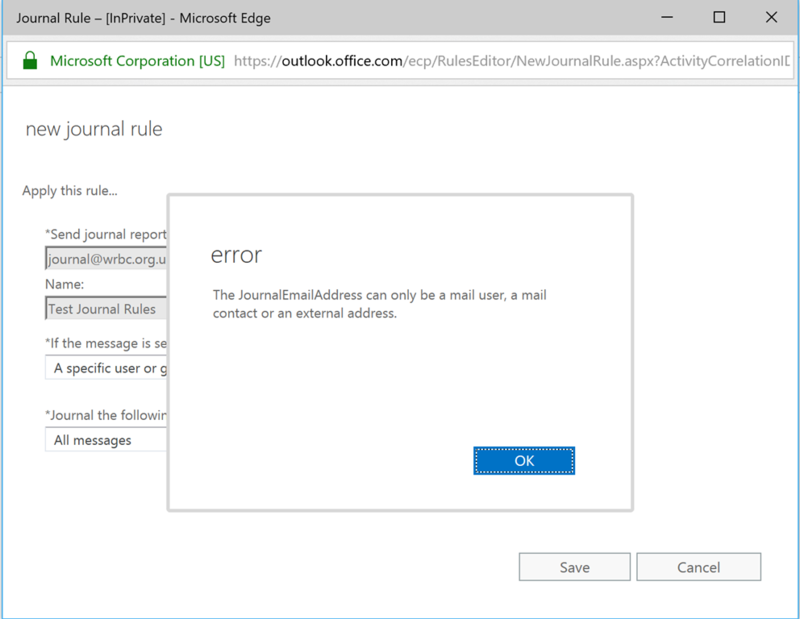 It is just where the address is currently in Office 365 you cannot make a journal rule to send email to it. You cannot also work around this limitation anymore either – if you enter a journal target address that is not in Exchange Online so that the Journal Rule setup completes, then go and add that target address to your other tenant, you will see that the journal report messages never arrive. Change it for an on-premises mailbox and it will work straight away. Therefore it is now no longer possible to even test journaling unless you have an external mailbox. Shame the error is not clearer – would have saved a bit of time! In a long term hybrid scenario, where you have Exchange Online and Exchange Server configured and mailboxes on both, internet bound email from your on-premises servers can route in two general ways. 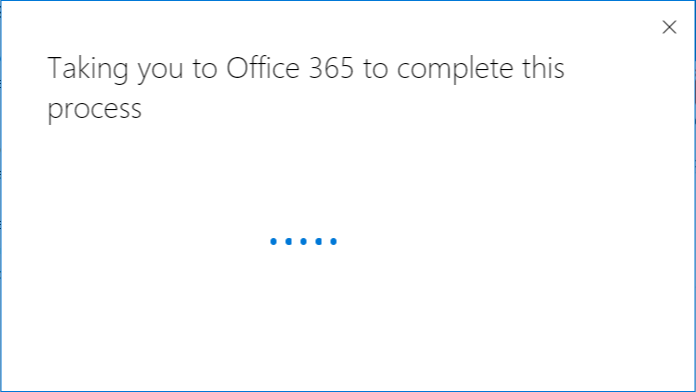 The first is outbound via whatever you had in place before you moved to Office 365. You might have configured Exchange Online to also route via this as well. 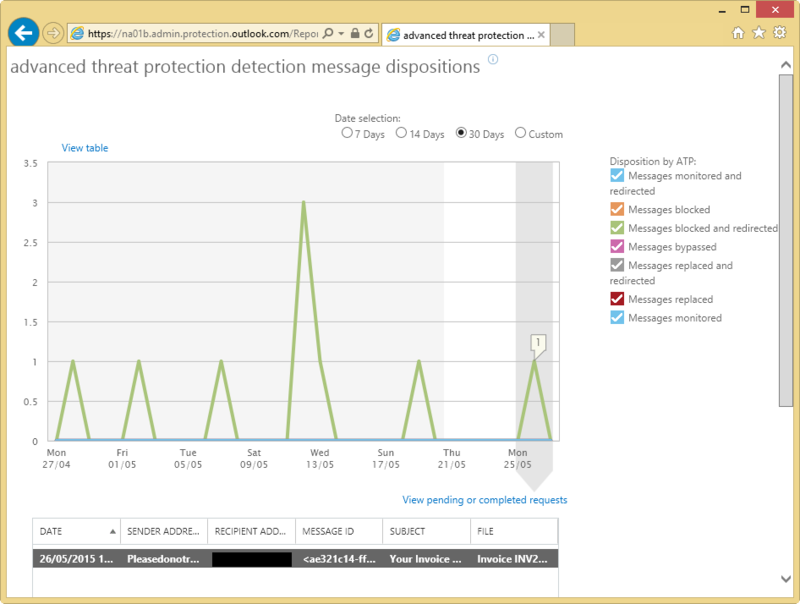 The second is to route Exchange Server outbound emails via Exchange Online Protection. 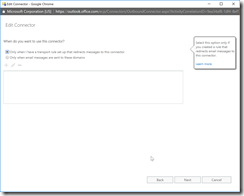 Your Exchange Online configuration does not need to be adjusted for this to work, as the default route for all domains to the internet (or the * address space as it is known) is via EOP as long as you create no alternative outbound connector for *. 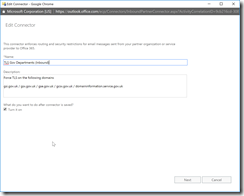 This blog post looks at configuring Exchange Server so that your on-premises mailboxes also route out via Exchange Online Protection, and does it without changing the connectors made by the hybrid wizard. If you change the hybrid wizard connectors and then run the wizard again, it will reset things to how it wants them to be, which will remove your configuration changes. 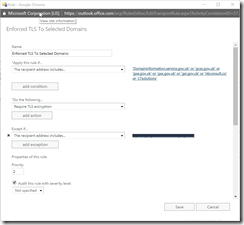 This configuration setup results in a single new send connector created on-premises in Exchange Server (or one connector per site is you route emails from more than one Active Directory site). 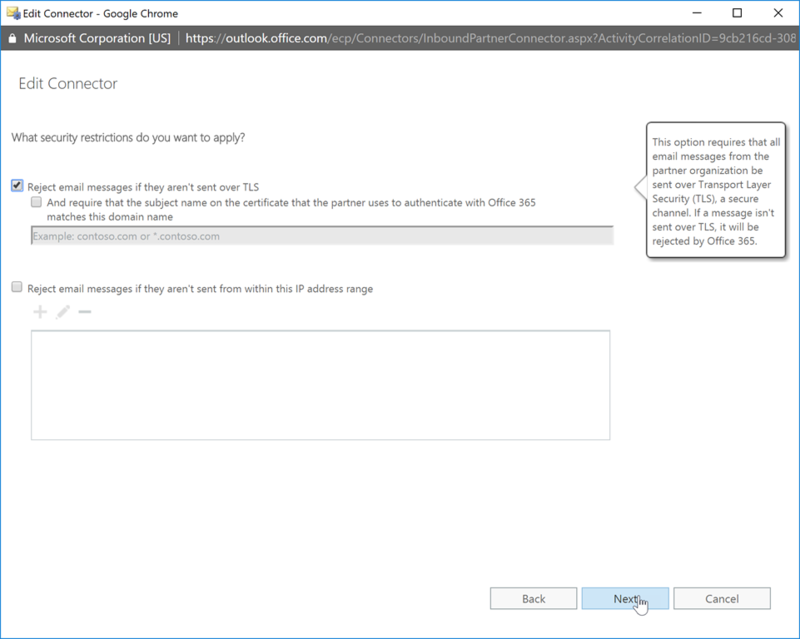 This new connector is not the Outbound to Office 365 connector that the hybrid wizard creates and so changes here do not break hybrid and changes to the hybrid wizard do not impact outbound mail flow. This blog post also assumes you already have a working route outbound for all internet emails and you are swapping over to outbound via EOP, so these steps work though ensuring that is correct and will work before changing the route for *. 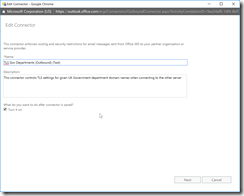 The other important attributes for EOP mail flow here are AddressSpaces, CloudServicesMailEnabled, DNSRoutingEnabled, Fqdn, RequireTLS, SmartHosts, and TLSAuthLevel. Setting these correctly on a new send connector will allow you to route other domains to EOP and then onward to the internet. 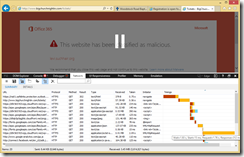 This blog is based upon information found in https://technet.microsoft.com/en-us/library/dn751020(v=exchg.150).aspx but it differs from the scenario described there within. 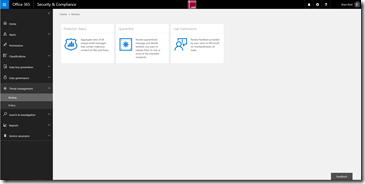 In this scenario, as you have already run the hybrid wizard, the connector to the cloud from on-premises and from the cloud to your servers already exists. Therefore all we need to do is create an additional send connector on-premises to route all the other domains to EOP and the internet. In the above, the connector is originally created being able to route for two test domains (written as testdomainx.com above, comma separated in the list with no spaces). This ensures that you do not break your existing mail flow but allows you to test that the connector works and then later change the connector to support * address space. 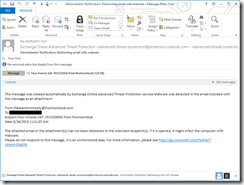 The “YourDomain_MX_Prefix” is the same value as you would use in your MX to route emails to Exchange Online (tenant-prefix-com.mail.protection.outlook.com for example). 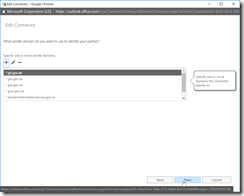 In the above new send connector, testdomain1.com is a domain hosted in a different Office 365 tenant. 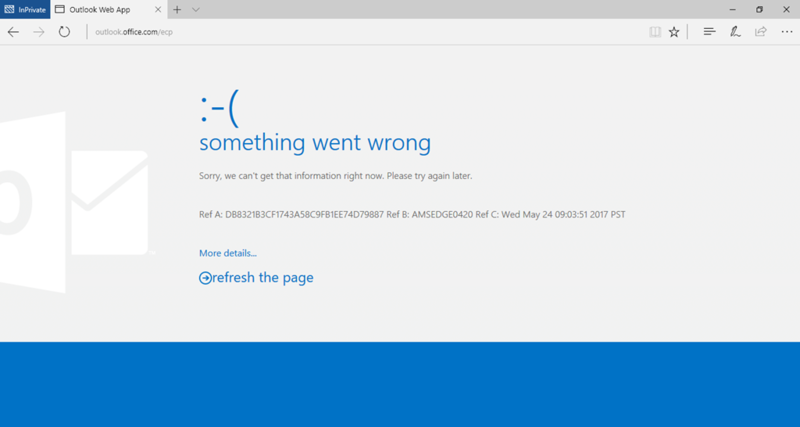 Testdomain2.com is a domain who’s email is not hosted in Office 365 at all. 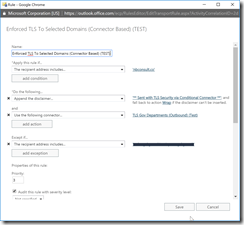 You need both test scenarios, as routing to domains inside Office 365 is more likely to work if the connector is not configured properly. 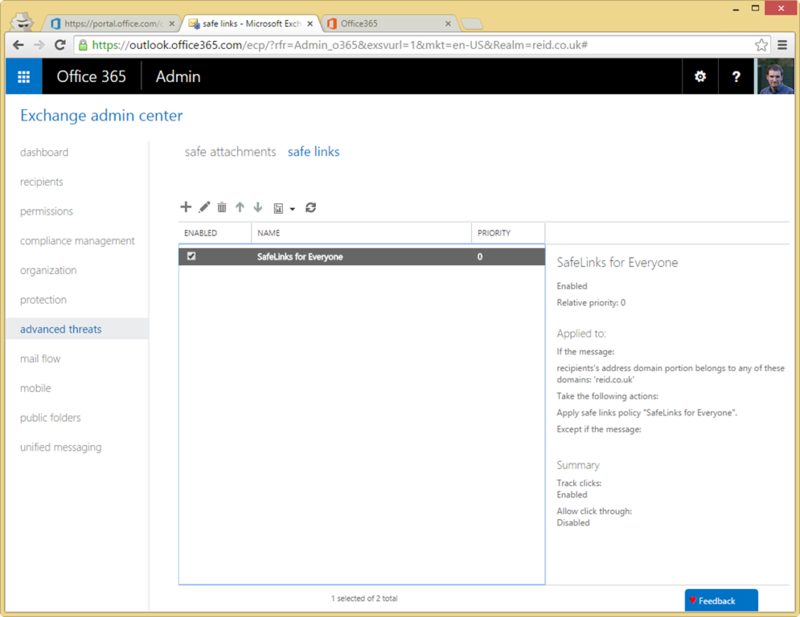 So from a mailbox on-premises, send an email to a recipient at both testdomain1.com and testdomain2.com. 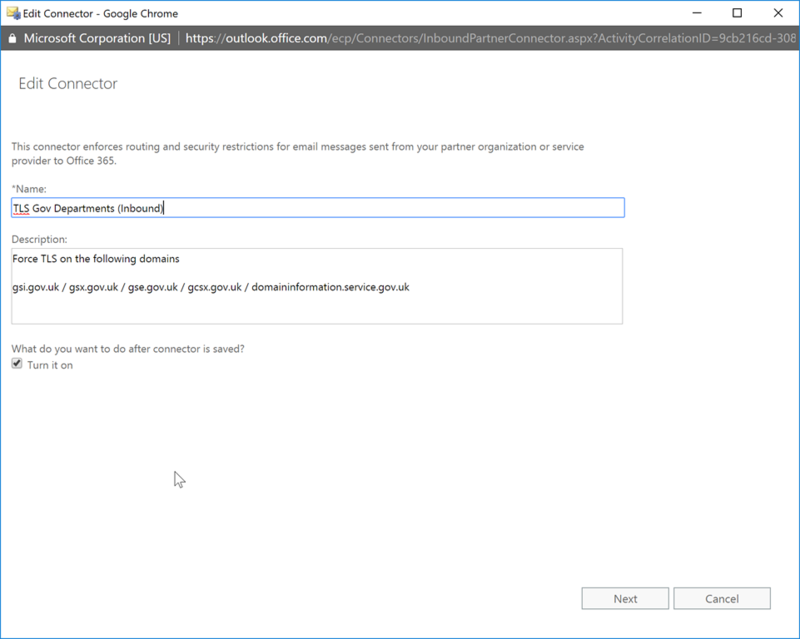 Do not set the connector up to use gmail or Outlook.com, as that will impact other senders within your organization. Use domains that no one else is likely to want to email. 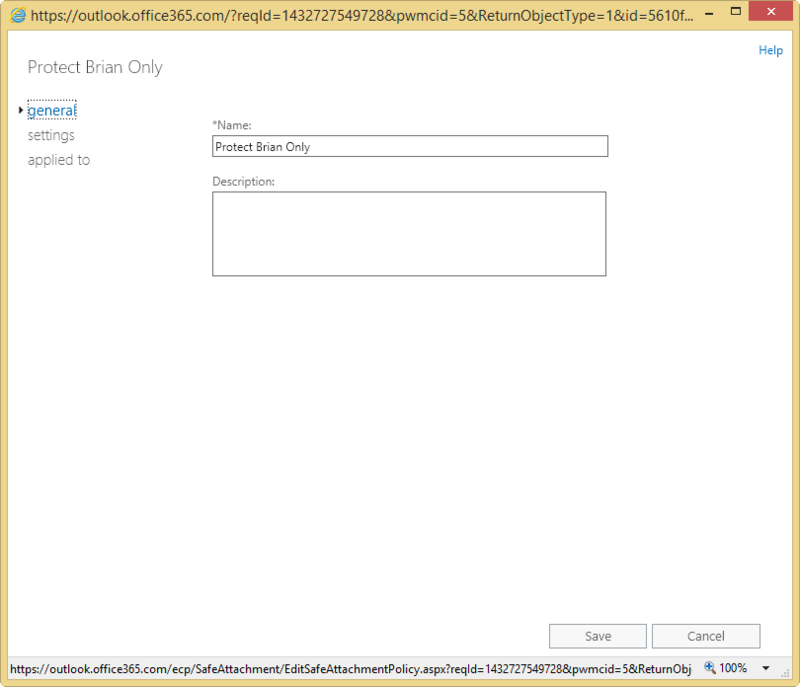 Once your mail flow tests work, and you can check the route by pasting the received message headers into http://exrca.com you should see that email routes into your Office 365 tenant, then leave EOP (the word “outbound” will be in one of the FQDNs – this server is on the external edge of EOP), then routed inbound to your email provider (or back into your recipient tenant). Once mail flow works, you can either add more recipient domains to increase the scope of the test – for example add a domain that you email occasionally, such as the partner helping you with this work and a few other domains. Once all your testing is ready change this connector to have * as the address space and not list specific domains. As your other connector for * is still up and running you will find that 50% of your email will use the new connector and 50% the old. 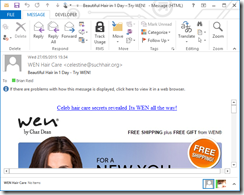 Then you can disable the old connector to go 100% email outbound through EOP (you need an EOP licence per sender to do this, or if you have an Exchange Online licence for each user you are already covered). 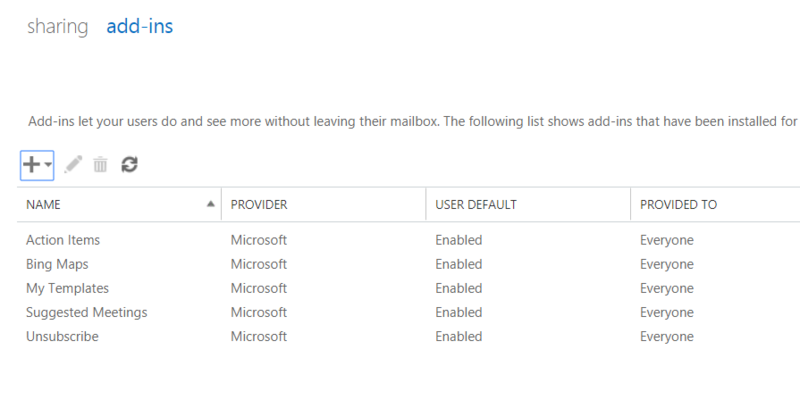 Finally when you have been routing on-premises email through EOP for a few weeks with the old connector disabled, you can delete the old connector and tidy up the configuration rather than leaving disabled connectors around. 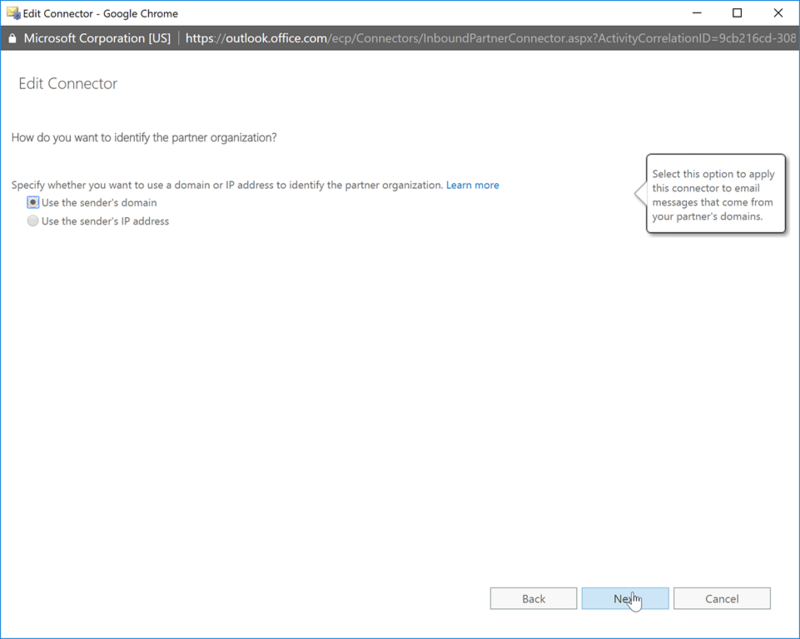 With a hybrid Exchange Online deployment, where you have Exchange Server on-premises and Exchange Online configured in the cloud, and utilising AADConnect to synchronize the directories, you should never find that a synced user object is configured as both a mailbox in Exchange Online and a mailbox on-premises. When Active Directory is synced to Azure Active Directory, the ExchangeGUID attribute for the on-premises user is synced to the cloud (assuming that you have not done a limited attribute sync and excluded the Exchange attributes from syncing to AAD – as syncing the attributes is required for Exchange Online hybrid). 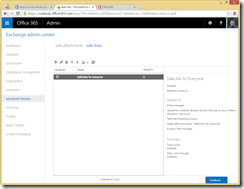 Exchange Online though does not read attributes from Azure Active Directory. Exchange Online reads its attributes from the Exchange Online Directory Service (EXODS). 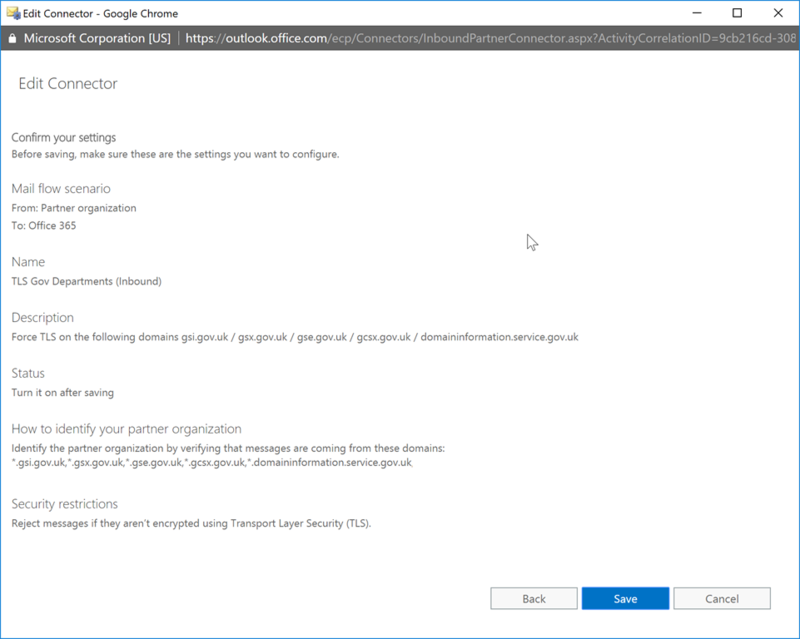 The Exchange Online directory takes a sync of information relating to Exchange from Azure Active Directory (Azure AD), which is known as forward sync. 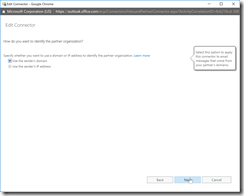 This ensures that the ExchangeGUID attribute from the on-premises mailbox is synced into Exchange Online for your tenant. The above is what happens in most cases – the user on-premises has a ExchangeGUID value, that is synced to the cloud, and then the user is licenced and a second mailbox is not created. But there is an edge case where an on-premises user with a mailbox (and therefore has the ExchangeGUID attribute populated) will also get a mailbox in Exchange Online. 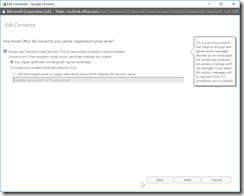 This happens where the organization manually created cloud mailboxes before enabling AADConnect to sync the directories, and these cloud users match the on-premises user by UserPrincipalName or primary SMTP address. In this above case, because they are cloud users with an Exchange Online licence they get a mailbox. 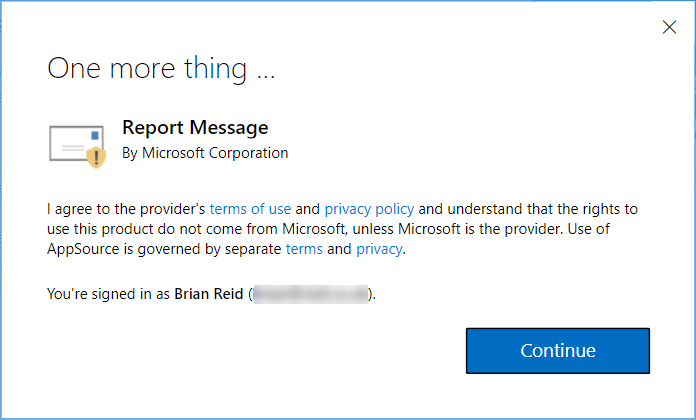 Deleting the cloud user and then enabling sync will cause the original cloud mailbox to be restored to the user account as the UserPrincipalName matches. 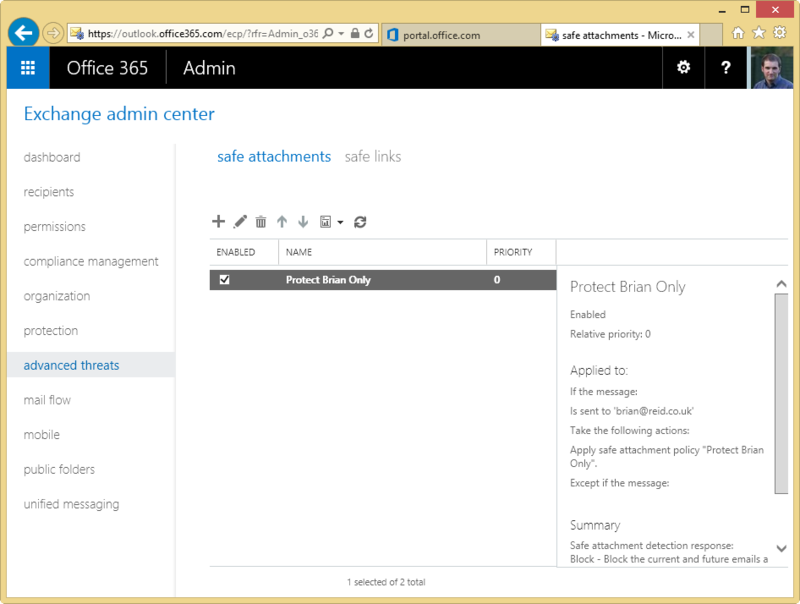 The user is granted a full Office 365 E3 licence, so this means the user has an Exchange Online mailbox. 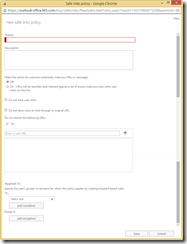 There is no AADConnect sync in place, but the UPN matches a user on-premises who has a mailbox. Repeating the same on-premises will show a separate user (remember, no AD sync in place at this time) with the same UPN and of course a different ExchangeGUID. 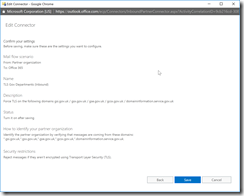 Note that the on-premises object ExchangeGUID is not the same as the cloud ExchangeGUID. This is because there are two seperate mailboxes. Now in preparation for the sync of the Active Directory to Azure Active Directory, the user accounts in the cloud are either left in place (and so sync will do a soft-match for those users) or they are deleted and the on-premises user account syncs to the cloud. In the first case, the clash on the sync will result in the cloud mailbox being merged into the settings from the on-premises mailbox (on-premises values overwrite cloud values unless on-premises value is null or does not exist). In the second case, cloud object deleted before sync, there is no user account to merge into, but there is a mailbox to restore against this user. And even though the newly synced user has an ExchangeGUID attribute on-premises that is synced to the cloud, and they have a valid licence, Exchange Online reattaches the old mailbox associated with a different GUID but same UPN/email address. The impact of this is minor to massive. In the scenario where MX points to on-premises and you have not yet moved any mailboxes to the cloud, this cloud mailbox will only get email from other cloud mailboxes in your tenant (there are none in this scenario) or internal alerts in Office 365 (and these are reducing over time, as they start to follow correct routing). It can be a major issue though if you use MX to Exchange Online Protection. As there is now a mailbox in the cloud for a user on-premises, inbound internet sourced email for your on-premises user will get delivered to the cloud mailbox and not appear on-premises! This reads “a subscription for the migration user <email> couldn’t be loaded”. This occurs where the user was not licenced and so there was not a duplicate mailbox in the cloud, but the user was later licenced before the migration completed. 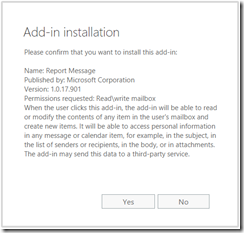 Where the invalid duplicate mailbox exists in the cloud and is getting valid emails delivered to it, the recovery work described below additionally will involve exporting email from this invalid mailbox and then removing the mailbox as part of the fix. Extraction of email from the duplicate mailbox needs to happen before the licence is removed. To remove the cloud mailbox and to stop it being recreated, you need to ensure that the synced user does not have an Exchange Online licence. You can grant them other licences in Office 365, but not Exchange Online. 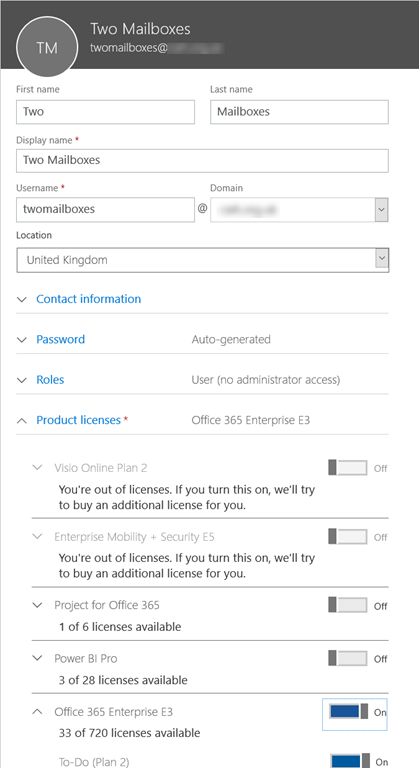 I have noticed that if you do licencing via Azure AD group based licencing rules then this will also fail (these are still in preview at time of writing) and that you need to ensure that the user is assigned the licence directly in the Office 365 portal and that they do not get the Exchange Online licence. After licence reconciliation in the cloud occurs (a few minutes typically) the duplicate mailbox is removed (though I have seen this take a few hours). The Get-User cmdlet above will show the RecipientType being a MailUser and not Mailbox. You are now in a position where your duplicate cloud mailbox is gone (which is why if that mailbox had been a target to valid emails before now, you would need to have extracted the data via discovery and search processes first). 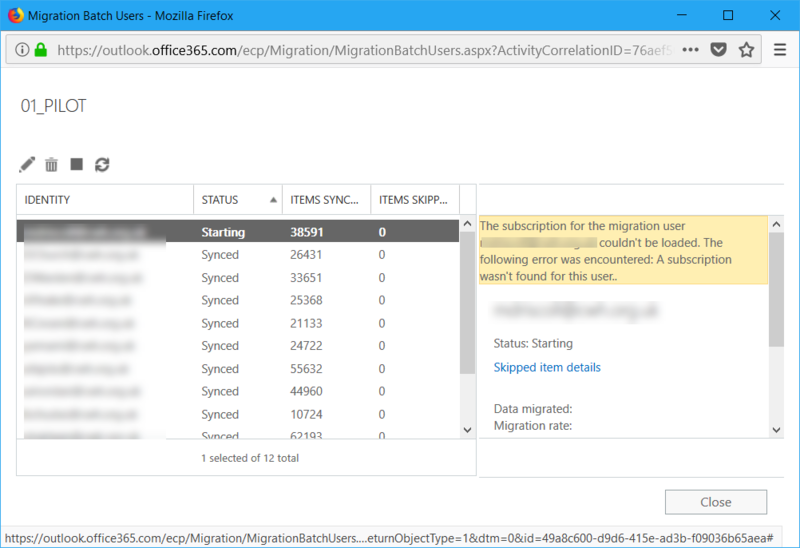 Running the above Get-User and Get-Mailbox (and now Get-MailUser) cmdlets in the cloud will show you that the ExchangeGUID on the cloud object now matches the on-premises object and the duplication is gone. You can now migrate that mailbox to the cloud successfully. Note that giving these users back their Exchange Online licence will revert all of the above and restore their old mailbox. As these users cannot have an Exchange Online licence assigned in the cloud before you migrate their on-premises mailbox, as that will restore the old cloud mailbox, you need to ensure that within 30 days of their on-premises mailbox being migrated to the cloud you do give then an Exchange Online licence. Giving them a licence after migration of their on-premises mailbox to the cloud will ensure their single, migrated, mailbox remains in Exchange Online. But giving their user a licence before migration will restore their old cloud mailbox. For users that never had a matching UPN in the cloud and a cloud mailbox, you can licence them before you migrate their mailbox as they will work correctly within the provisioning system in Exchange Online. 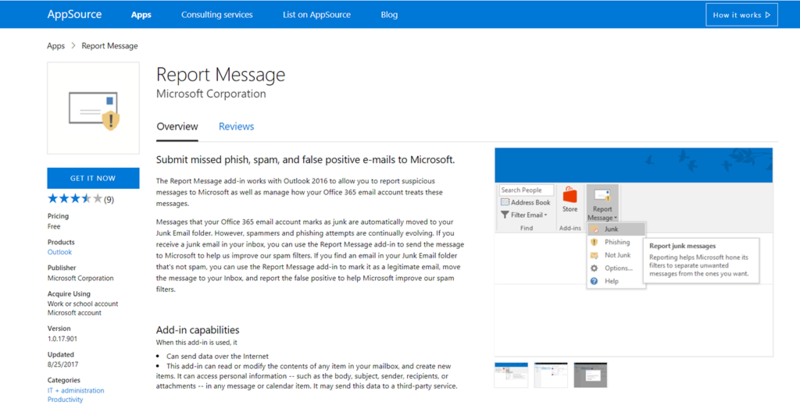 There is a new add-in available for Outlook and OWA in Office 365 that can simplify spam and phishing reporting to Microsoft for content in your mailbox. 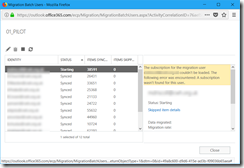 I recommend rolling this add-in out to everyone in your Office 365 tenant and for Office 365 consultants to add this as part of the default steps in deploying a new tenant. 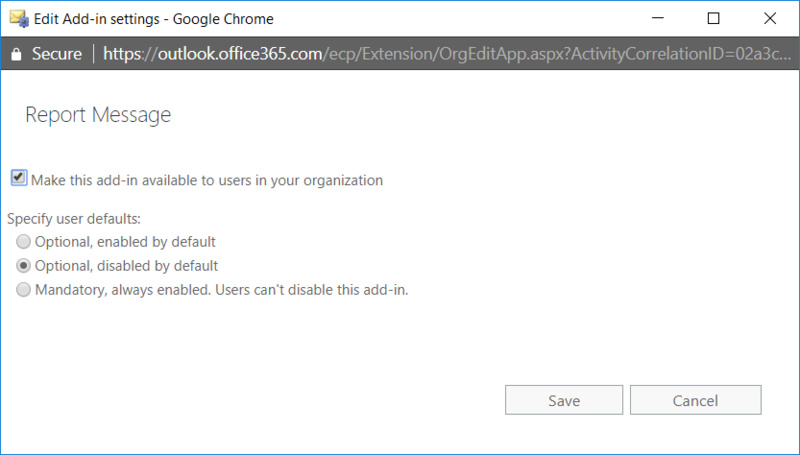 Click the + icon and choose “Add From Office Store”. The message above says that the add-in is now visible in the gray bar above your messages. 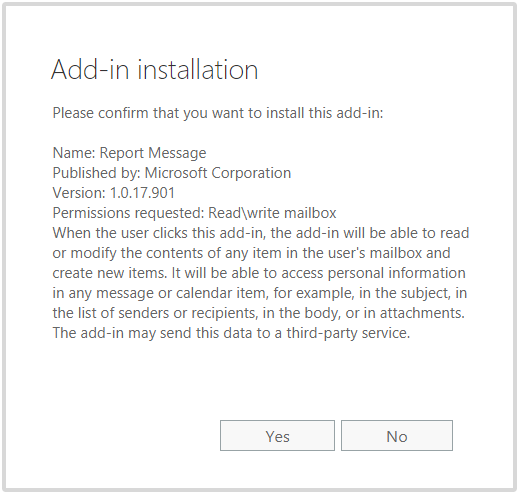 For this add-in this is not correct as this add-in extends the menu in Outlook (2013 and later, as add-ins are not supported in Outlook 2010) and also the app is disabled by default. Close this tab in your browser and return to the add-in page in Exchange Control Panel that is open in a previous tab. From here you can enable the app, select a pilot audience, though this app is quite silent in the users view of Outlook and OWA so a pilot is not needed for determining impact to users, but can be useful for putting together quick documentation or informing the help desk of changes. I recommend choosing “Mandatory, always enabled. Users can’t disable this add-in” and deploying to all users. Unchecking the option to make it available for all users makes it available for none. For a pilot choose “Optional, disabled by default”. You are now done installing the add-in. Where the default is to ask before sending info to Microsoft. 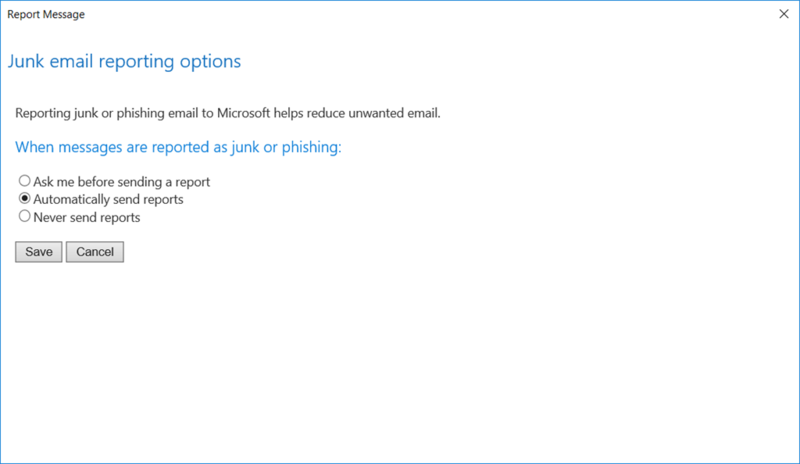 Selecting Junk or Phishing will result in the message being moved to Junk Email folder in Outlook, and if in the Junk Email folder, marking a message “Not Junk” will return it to the inbox. 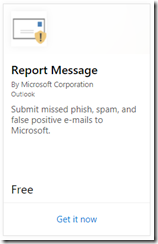 All options will send info on the message, headers and other criteria to Microsoft to help adjust their machine learning algoriths for spam and phishing detection. 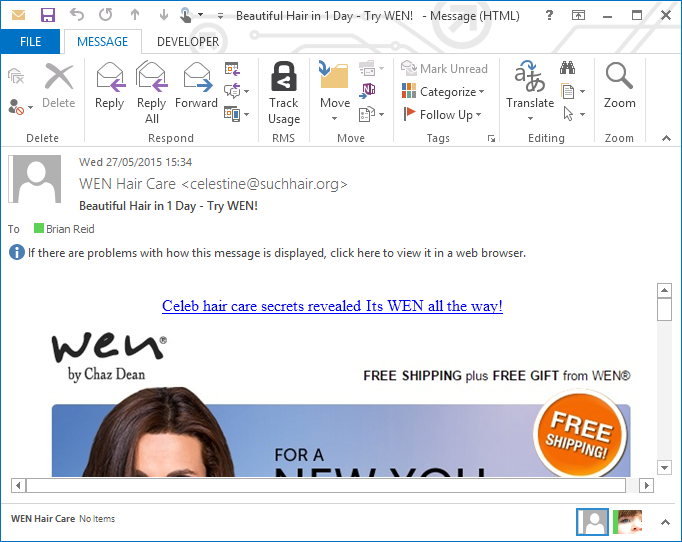 This add-in replaces the need to email the message as an attachment to Microsoft. And also it will appear automatically in Outlook for iOS and Outlook for Android and Outlook (desktop, classic). 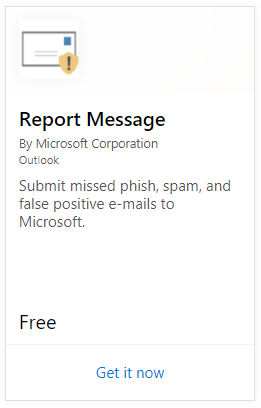 Once the app is enabled for all users, and recall the above where it takes a while to appear for all users, then your spam and phish reporting in Office 365 is very simple and easy to do and easy to remove from a helpdesk call and on to the end user directly to report and move messages. 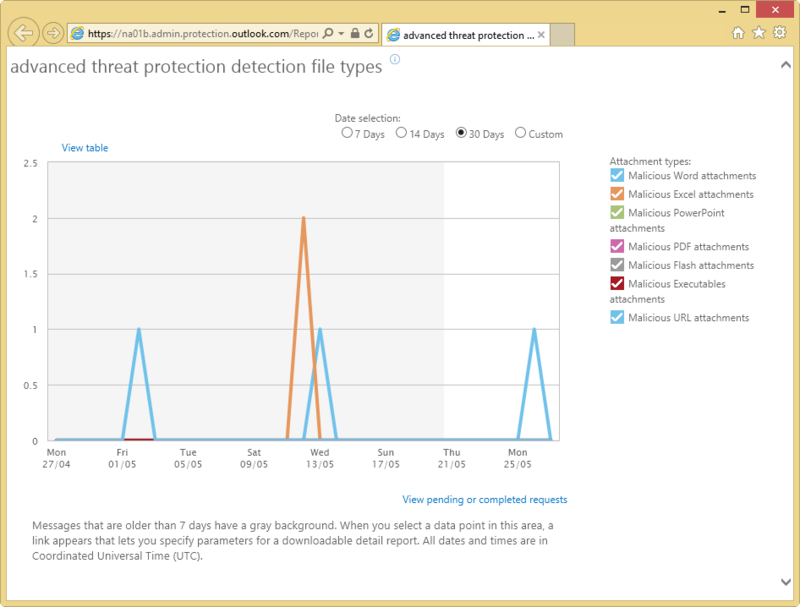 In the last few days the layout of the Security and Compliance Center with regard to the Threat Management section appears to have changed. 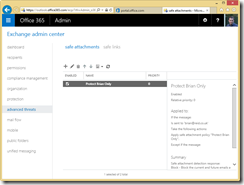 Policy area: This contains the previous menu items such as anti-malware, ATP Safe Links etc. 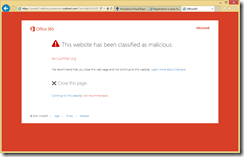 In the above, the server name (…as9143.net) might change as will the value before the error, but either DMARC validation failed with result 3.00:quarantine or 4.00:reject is the end of the error message. We resolved this error by shorting the DMARC record of the sending organization. Before we made the change we had a DMARC record of 204 characters. We cannot find a reference online to the maximum length of a DMARC record, though we could successfully add a record of this length to Route 53 DNS provided by AWS, though a record of 277 characters was not allowed in AWS. Other references online to domain character length seem to imply that 255 characters is the max, but not specifically for DMARC. So, shortening the DMARC record to remove two of the three email addresses in each of the RUA and RUF values was the fix that we needed. This change was done for two reasons, first the above error occurred only with emails to Virgin Media and sometimes an NDR would be received and other times the NDR would fail, but the original email never made it through and secondly the two removed email addresses where not actively being checked for DMARC status messages anyway and so there is no harm in the removal of them from the DMARC record anyway! Reducing the length of the record resulted in DMARC analytics and forensic email not going to mailboxes at the client (one of whom those mailboxes did not exist anyway) and only going to the UK government DMARC policy checking service, but most importantly for a client that has a requirement to respond to citizen’s emails (and whom could easily be using Virgin Media email addresses) we resolved the issue. 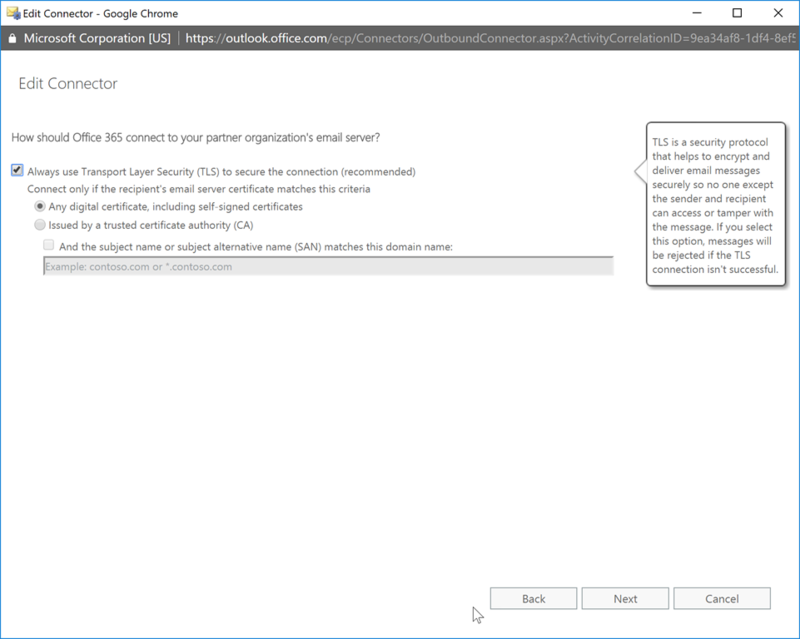 In Exchange Online there are a few different options for forcing email to require an encrypted connection. 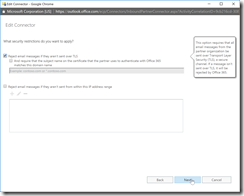 These depend upon the level of licence you have, and some of them are user based (Office 365 Message Encryption for example), but there are two ways to force TLS (transport layer security) for the email between when the message leaves Office 365 and arrives with the recipient email system. The first of these is a Mail Flow rule, and the second of these is a Conditional Connector. Only the second of these works! The first, just for clarity, appears to work but it is not 100% reliable and will end up with stuck emails unless you configure the rule 100% correct. The second option is the recommended option ongoing. This rule uses the condition “if the recipient address includes” and the list of UK Government domains that should be secured. 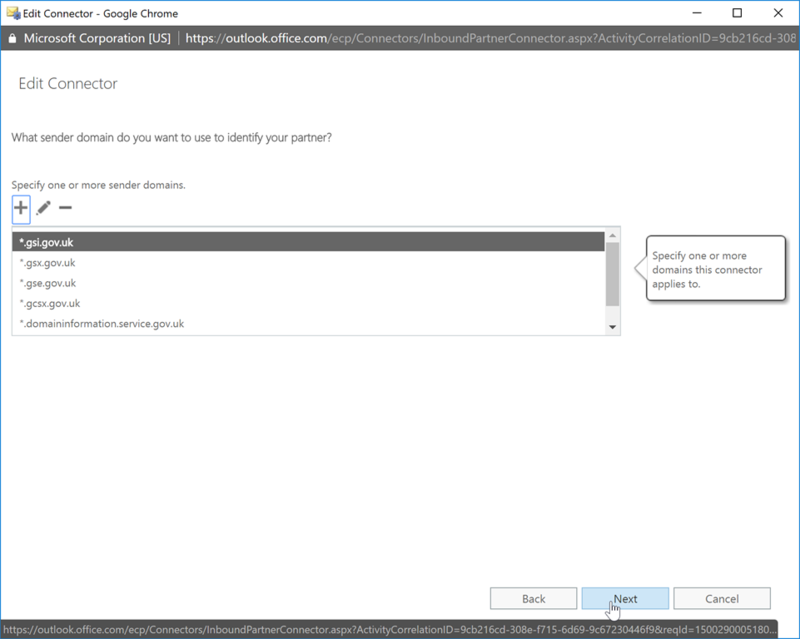 This list is found at https://www.gov.uk/guidance/set-up-government-email-services-securely#configure-cloud-or-internet-based-email-services and for test purposes I have added my own domains to the list. The action for this rule is “to require TLS encryption”. As mentioned above, this rule is not 100% reliable, and the the issue is when you have a Hybrid Exchange Online environment back to on-premises Exchange, though that connector back to on-premises uses TLS, the rule to force TLS conflicts and the email stays in Exchange Online in a pending state and is never delivered. To avoid this issue, an exception is required to the rule to exempt it for your on-premises domains. 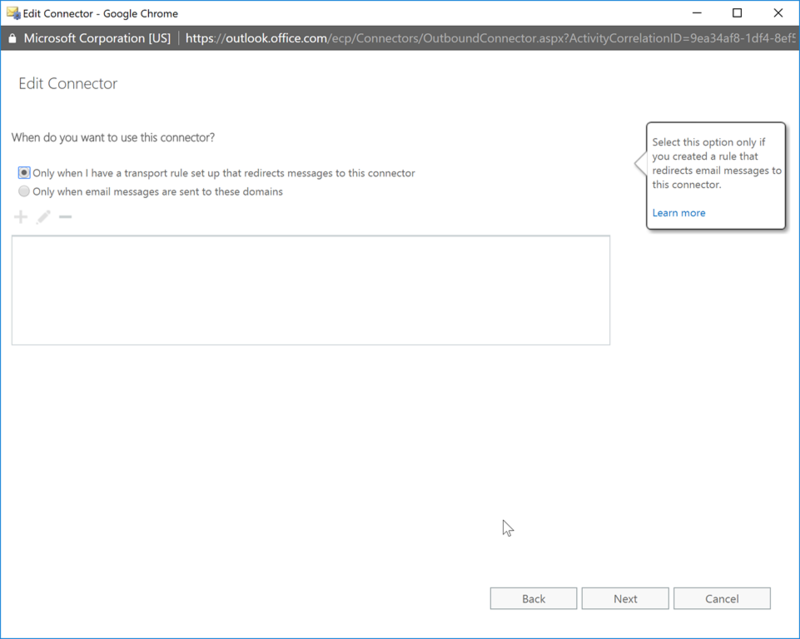 You must select “Only when I have a transport rule set up that redirects messages to this connector” on the connector use page. MX delivery is the most likely option, and then either any digital certificate or issued by a trusted third party depending upon your requirements. 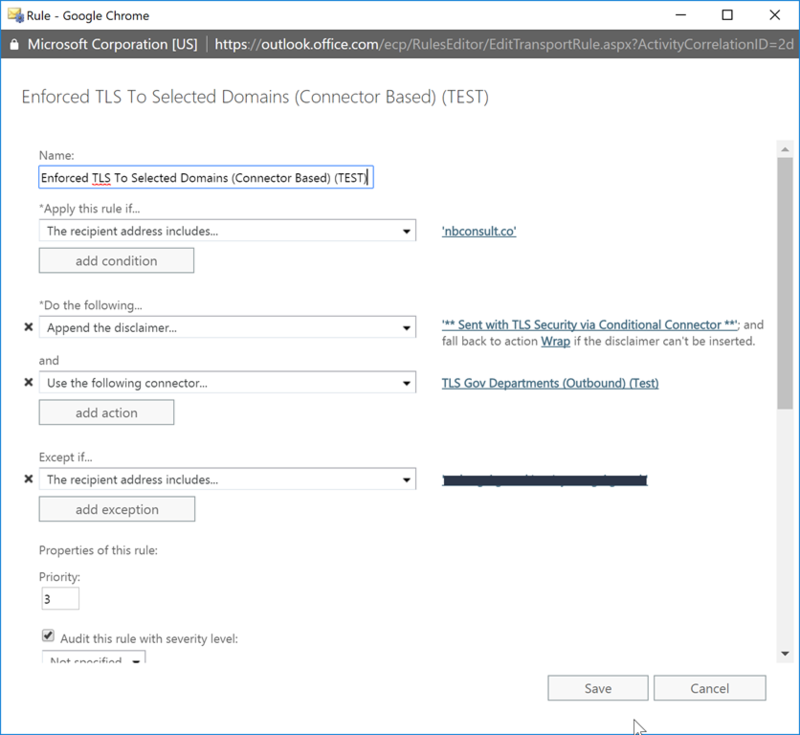 If you have more than one domain to force TLS to, then do not enter the end certificate info here, as it will be different for each domain. Now that you have the connector in place, which will only be used is rules route the emails to that connector, you can create the rule. 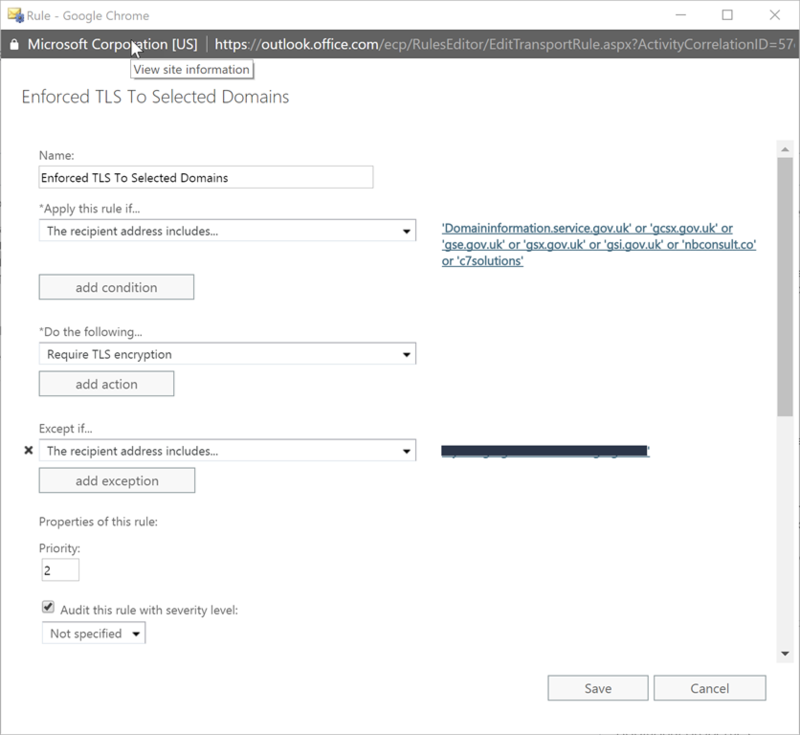 We have purposely excluded the domains we had an issue with when using “Require TLS”, but Microsoft say that workaround should not be needed – I will update this post once I know that for sure! Also, as the rule shown in the screenshots adds a disclaimer so that we can check that the rule is being executed. So you have found yourself in the position of moving to Exchange Online from a legacy version of Exchange Server, namely Exchange 2010. You are planning to move everyone, or mostly everyone to Exchange Online and directory synchronization plays a major part (can it play a minor part?) in your plans. 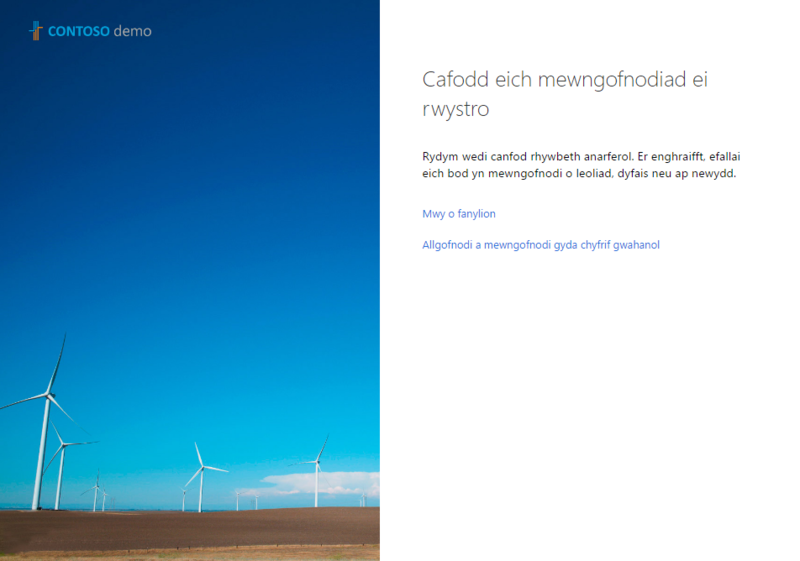 So you have made the option to go hybrid mode when you discover that there are manual steps to making Exchange 2010 mail flow to Exchange Online work if you have Exchange Edge Servers in use. So, what do you do. You look online and find a number of references to setting up XOORG, but nothing about what that is and nothing about what you really need to do. And this you found this article! 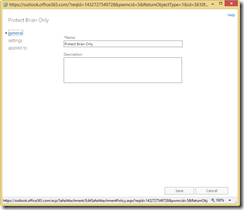 So, how do you configure Exchange Server 2010 with Edge Servers, so that you can have hybrid mode to Exchange Online. 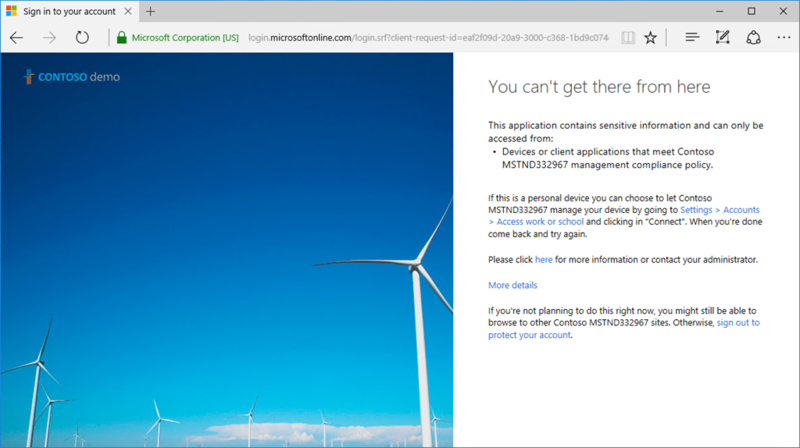 So you ran the hybrid wizard, and it completed (eventually if you have a large number of users) and you start your testing only to find that emails never arrive in Office 365 whilst your MX record is still pointing on-premises. After a while you start to get NDR’s for your test emails saying “#554 5.4.6 Hop count exceeded – possible mail loop” and when you look at the diagnostic information for administrators at the bottom of the NDR you see that your email goes between the hub transport servers and the edge servers and back to the hub transport servers etc. and about three or so hours after sending it, with the various timeouts involved, the email NDR arrives and the message is not sent. 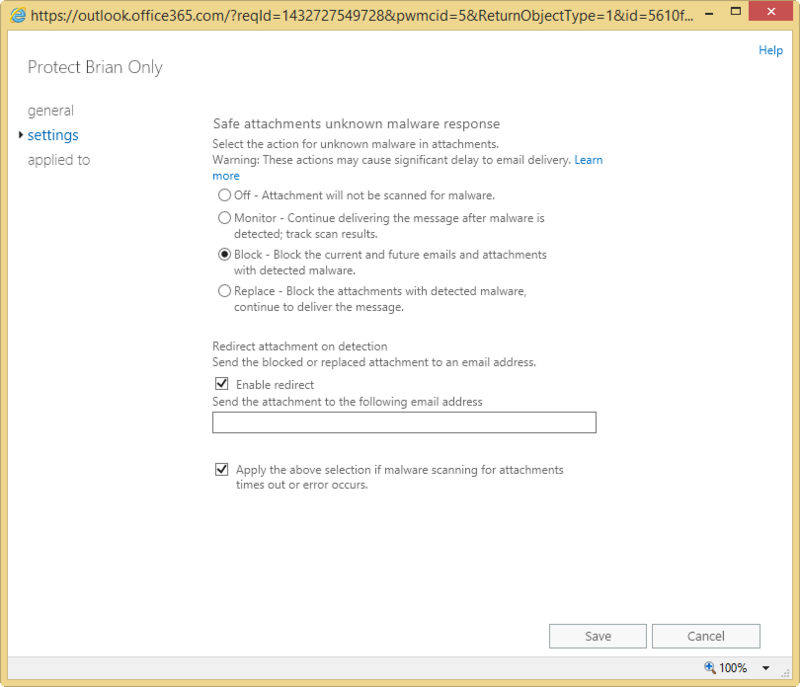 The problem is that the Edge Server sees the recipient as internal, and not in the cloud, as the email has been forwarded to the user@tenant.mail.onmicrosoft.com, and Exchange 2010 is authoritative for this namespace. You are missing a configuration that tells the Edge that some emails with certain properties are not internal, but really external and others (those coming back from the cloud) are the only ones to send internal to the on-premises servers. Before you run the hybrid wizard you need to do the following. If you have already run the wizard that is fine, you will do these steps and run it again. Install a digital certificate on all your Edge Servers that is issued by a trusted third party (i.e. GoDaddy, Digicert and others). The private key for this certificate needs to be on each server as well, but you do not need to allow the key to be exported again. 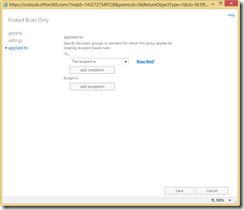 Enable the certificate for SMTP, but ensure you do not set it as the default certificate. You do this by using Exchange Management Shell to Get-ExchangeCertificate to key the key’s thumbprint value and then running Enable-ExchangeCertificate –Thumbrint <thumbprintvalue> –Services SMTP. At this point you are prompted if you want to set this certificate as the default certificate. The answer is always No! If you answer yes, then run the Enable-ExchangeCertificate cmdlet again, but this time for the certificate thumbprint that was the default and set the default back again. If you change the default you will break EdgeSync and internal mail flow for everyone. And you must use the self-signed certificate for EdgeSync and this third party issued certificate for cloud mail flow, as you cannot use the same certificate for both internal and external traffic. 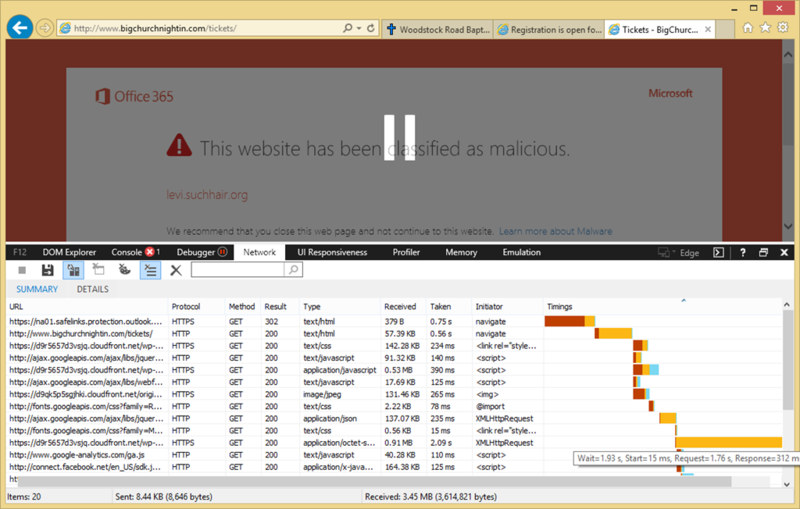 The certificate needs to be the same across all your Edge Servers. If you are doing multi-forest hybrid, then the certificate is only the same across all the Edge Servers in one Exchange Organization. The next organization in your multi-forest hybrid needs to use a different certificate for all its Edge Servers. Then take this same certificate and install it on a single Hub Transport server on-premises. The hybrid wizard cannot see what certificates you have on the Edge Servers, so you need to help the wizard along a bit. Again, this certificate needs enabling for SMTP, but not setting as the default certificate. Now you can run the hybrid wizard. The important answers you need to include here are that the hub transport server that you pick must be the one that you placed the certificate on, as you cannot pick the Edge Servers that you will use for mail flow in the wizard. But you will need to enter the IP addresses that your Edge Servers are published on the internet as, and you will need to enter the FQDN of the Edge Servers as well. Complete the wizard and then time for some manual changes. The hybrid wizard will have made a send connector on-premises called “Outbound to Office 365”. You need to change this connector to use the Edge Servers as the source servers. Note that if you run the hybrid wizard again, you might need to reset this value back to the Edge Servers. So once all these required changes are made, remember that running the wizard again could constitute an unexpected change and so should be run with care or out of hours. 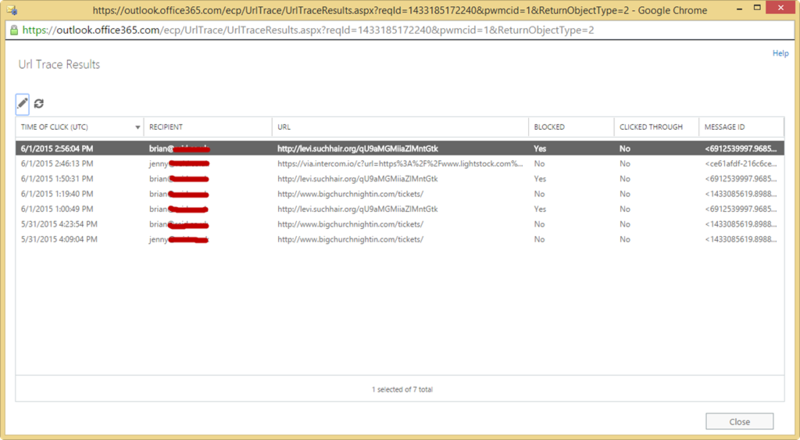 Use Set-SendConnector “Outbound to Office 365” -SourceTransportServers <EDGE1>,<EDGE2> and this will cause the send connector settings to replicate to the Edge Server. Next get a copy of the FQDN value from the receive connector that the hybrid wizard created on the hub transport server. 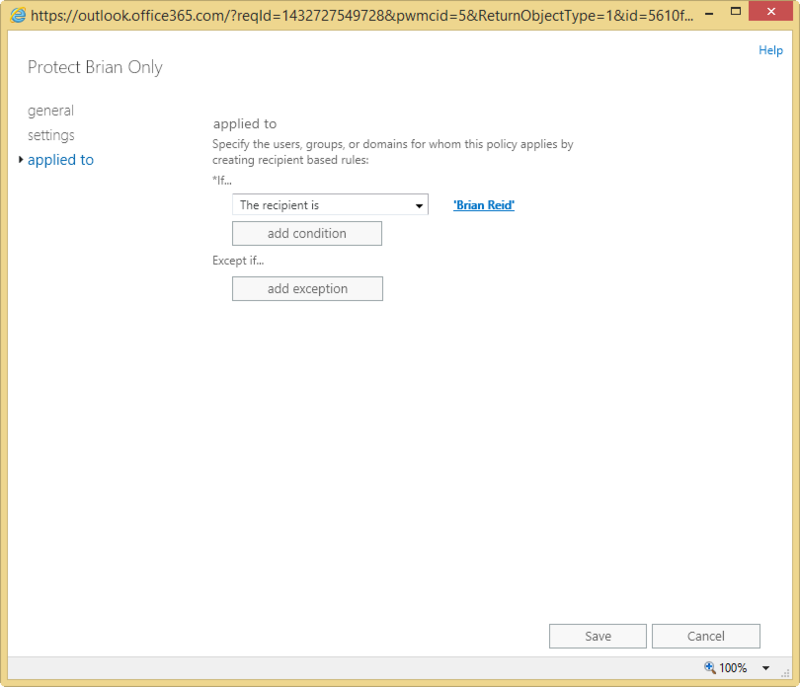 This receive connector will be called “Inbound from Office 365” and will be tied to the public IP ranged of Exchange Online Protection. As your Edge Servers receive the inbound emails from EOP, this receive connector will serve no purposes apart from the fact that its settings are the template for your receive connector on the Edge Servers that the wizard cannot modify. 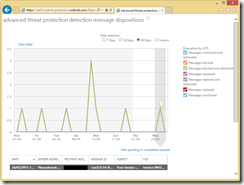 The same receive connector will also have a setting called TlsDomainCapabilities and the value of this setting will be mail.protection.outlook.com:AcceptOorgProtocol. AcceptOorgProtocol is the XOORG value that you see referenced on the internet, but it is really called AcceptOorgProtocol and this is the value that allows the Edge Server to distinguish between inbound and outbound mail for your Office 365 tenant. 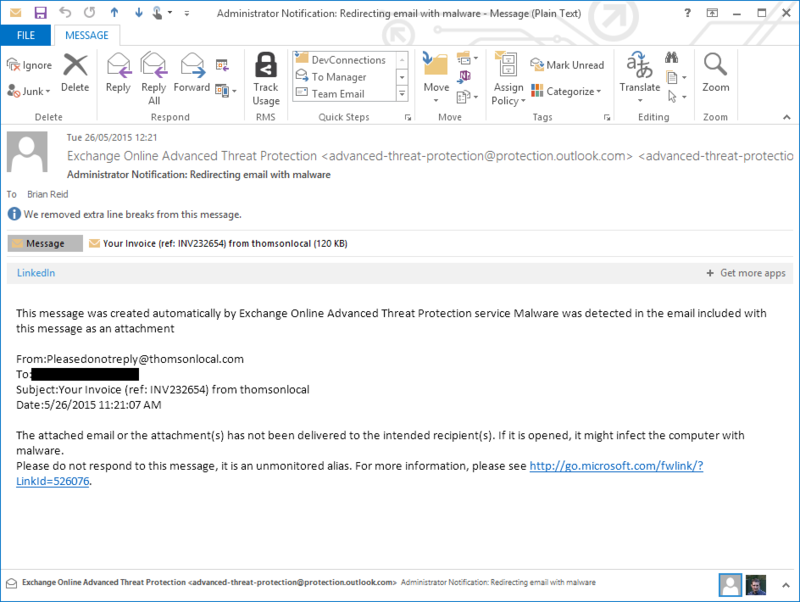 So on each Edge Server run the following cmdlet in Exchange Management Shell to modify the default receive connector: Set-ReceiveConnector *def* -TlsDomainCapabilities mail.protection.outlook.com:AcceptOorgProtocol -Fqdn <fqdnFromTheInboundReceiveConnectorOnTheHubTransportServer>. This needs repeating on each Edge Server. The FQDN value ensures that the correct certificate is selected and the TlsDomainCapabilities setting ensures you do not loop email to Office 365 back on-premises again. 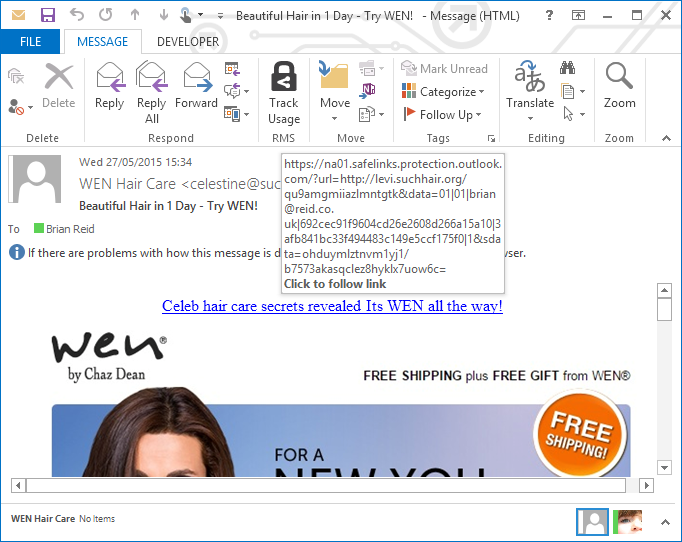 Other emails using the Default Receive Connector are not affected by this change, apart from now being able to offer the public certificate as well to their inbound partners. You can now continue with your testing knowing that mail flow is working, so now onto AutoDiscover, clients, free/busy, public folders etc. etc. etc. 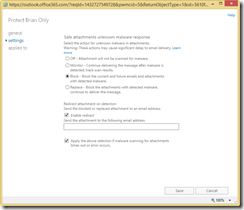 In March I wrote a blog post that showed how to take the attachment filter list from Edge Server and add those attachment block types to EOP, as EOP had a very small list of attachments. Today on one of my client tenants I noticed this precanned list of attachment extension types is now at 96 items, which is a considerable change from the list back in March 2017. The list in March was ace, ani, app, docm, exe, jar, reg, scr, vbe, vbs and still is for some tenants at the time of writing. But while Microsoft has added new attachment types to the picker UI, there was no notification to the end client administrators that they might want to update their MalwareFilterPolicy to take account of these new attachment types that Microsoft have considered worthy of being blocked. Therefore, now is the time to check your existing MalwareFilterPolicy to include the new extension types (listed below). But notice that some of these are initial capital versions of entries that are already there (i.e. 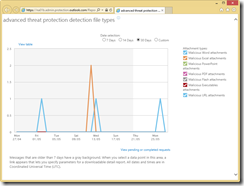 hta was in the list or on Edge server a few months ago, but now Hta is on the list as well). I am assuming attachment blocking is not case sensitive and so the following extensions are if added from the attachment list picker will be duplicates – Hta, Inf, Ins, Jse, Ksh if you imported a matching, but lower case, list from your Edge servers. Thats the output I get from running this on the afternoon of April 20th (UK style dates for the American readers of this blog)! Notice a few things (its been somewhat redacted to remove private into), but the spam filter provider in front of EOP in this tenant is seen as spoofing postmaster emails and there are some from mandrillapp.com in a similar vein. Both of these companies send email on our behalf, so I expect to see them here – so nothing to see here for these. How about the others? One is a hosting company, probably hosting WordPress instances and so these are probably alerts of some kind from a web hoster to us, so again I think for us nothing here. What do you get – is it more interesting for you? I’m please to announce that Microsoft have asked me to speak on “Everything You Need To Know About SMTP Transport for Office 365” at TechEd Europe 2014 in Barcelona. Its going to be a busy few weeks as I go from there to the MVP Summit in Redmond, WA straight from that event. My session is going to see how you can ensure your migration to Office 365 will be successful with regards to keeping mail flow working and not seeing any non-deliverable messages. We will cover real world scenarios for hybrid and staged migrations so that we can consider the impact of mail flow at all stages of the project. We will look at testing mail flow, SMTP to multiple endpoints, solving firewalling issues, and how email addressing and distribution group delivery is done in Office 365 so that we always know where a user is and what is going to happen when they are migrated. Compliance and hygiene issues will be covered with regards to potentially journaling from multiple places and the impact of having anti-spam filtering in Office 365 that might not be your mail flow entry point. We will consider the best practices for changing SMTP endpoints and when is a good time to change over from on-premise first to cloud first delivery, and if you need to maintain on-premises delivery how should you go about that process. And finally we will cover troubleshooting the process should it go wrong or how to see what is actually happening during your test phase when you are trying out different options to see which works for your company and your requirements. Full details of the session, once it goes live, are at http://teeu2014.eventpoint.com/topic/details/OFC-B350 (Microsoft ID login needed to see this). Room and time to be announced.